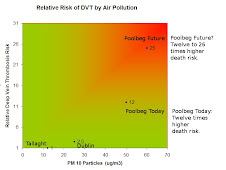 What will Covanta do with the toxic ash from the proposed Poolbeg Incinerator? Export it to Cork? Spread it over orchards? Feed it to dioxin-free-pigs in Ireland? Or dioxin-free-buffalo in Italy? Of course not. But nobody knows either - the promoters are staying stum. Dumping dodgy ash in California is not a good idea. People in California's land of milk and honey have issues with Covanta's lovely and environmentally awesome ash [Jan 28, 2010]. They've even switched off a power plant in Oroville, 120 miles from San Francisco. Questions from locals are passed off 'back east' to a phone number 3,000 miles away, and it seems there is nobody answering during the daytime, never mind at three in the morning. Skype Covanta yourself: 00-1-973- 882-2439. If you really really think you'll get an answer about whether the California ash is good ash or very very bad ash give Vera a call. Start off on a light note with Vera by joking about Billy Leotardo's ashes up on the mantlepiece in New Jersey. Ask is Covanta better than PG&E. Ask about Covanta's web site highlighting environmentally friendly business practices. Then ask about San Francisco's Farmers Market and the ash in the California orchards. OROVILLE — The burner at Pacific Oroville Power, Inc. on South Fifth Ave. hasn't been blowing smoke for more than a week. Exactly what is going on is unclear, except the ash disposed by the company at a Sacramento landfill and spread on local orchards apparently didn't pass tests by the California Regional Water Quality Board Central Valley Division in Sacramento. And the plant could be the subject of an investigation by the Butte County District Attorney's Office. Last week, plant manager Francisco Barraga said the building at 3050 S. Fifth Ave. was closed two weeks for scheduled maintenance. When asked if the closure had anything to do with ash from the plant not passing tests by the water quality board in Sacramento, Barraga said any further questions would have to be answered by public relations representative Vera Carley at Covanta Energy's office in Fairfield, N.J.
Several calls to Carley and another public relations person weren't returned. Tuesday, Greg Cash of California Regional Water Quality Control Board Central Valley Region in Redding said his office hadn't tested the ash yet. The Sacramento office had tested ash dumped at the L&D Landfill Co. in Sacramento, Cash said. Cash said the Redding office would be testing ash at the plant on Wednesday for a Butte County District Attorney investigation. District Attorney Mike Ramsey declined to comment. Last week, the Oroville plant rented receptacles from Recology in Oroville and had been gathering up the ash in the plant yard. Recology manager Joe Matz said they will not be taking the ash and they haven't ever taken ash from Pacific Power. On Tuesday, Moses Detoro of L&D Landfill confirmed it had stopped taking the plant's ash because of testing by the regional water quality board. "I was told not to take any more ash from POPI until further notice," Detoro said. He said further information would have to come from the main office. On Tuesday and Wednesday, neither the Sacramento water control board office, nor Jeff Mills from the landfill main office returned the Mercury-Register's phone calls requesting more information. Wednesday at 2 p.m., people from water control board and from the plant walked out of the locked gate at the front parking lot. One woman confirmed they were from the water control board. However, the plant manager said he didn't know when the plant would open again, and any information would have to come from the Covanta public relations office. Covanta has owned the cogeneration plant in Oroville since 1997 and its Web site highlights environmentally friendly business practices. The Oroville plant has burned "biofuel" for 25 years to make electricity, which is sold to PG&E. 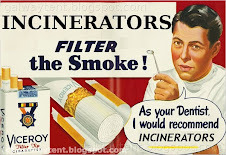 Is Incineration "Green" -- NO WAY! Incinerators do not make waste disappear. For every five truckloads of waste burned, four truckloads are pumped into the atmosphere and one remains as toxic ash, which still must be carefully stored or landfilled. Another Covanta Contract Dispute, New York State. Johnny-Cash Gormleys Forty Shades of Greed.